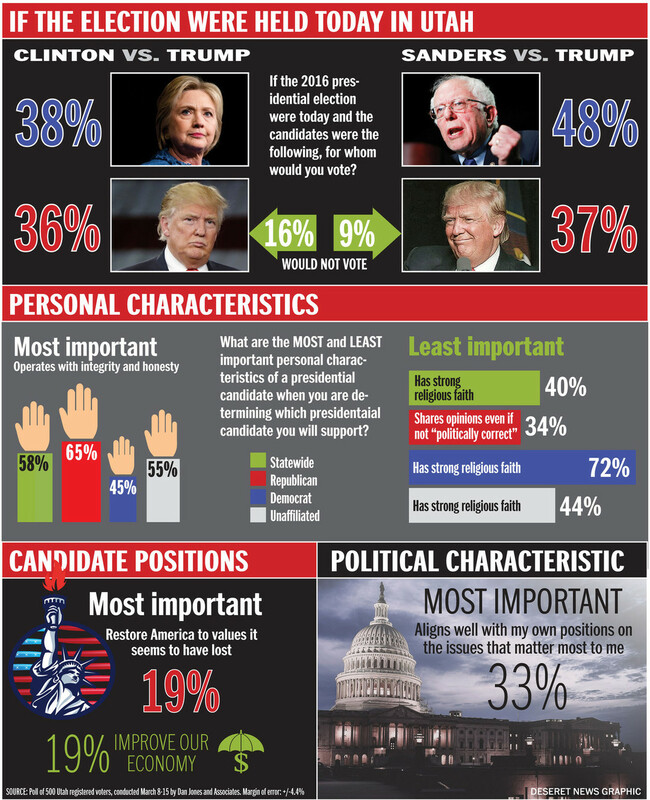 Dan Jones & Associates conducted a survey of 500 Utah registered voters between Mar 8 and Mar 15, 2016. Respondents were contacted by either Cellphone, Landline, Internet or Opt-In and instructed by a live operator. 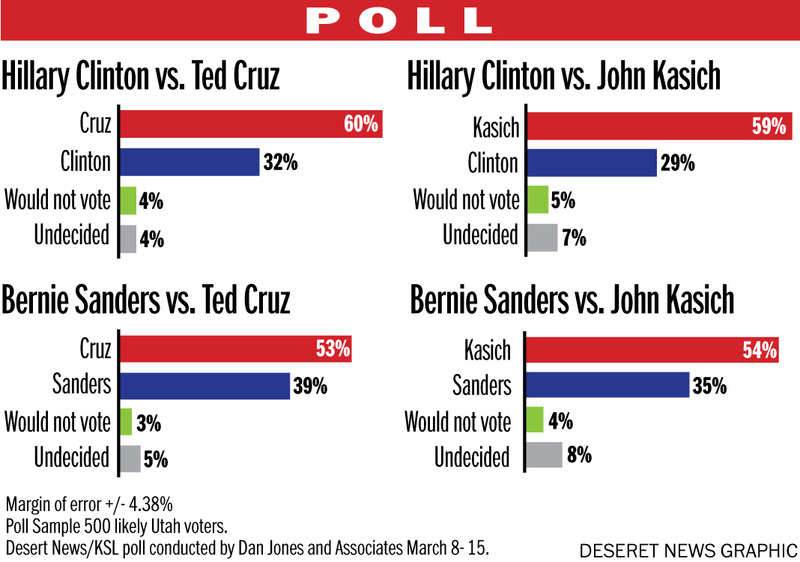 The poll was sponsored by Deseret News and KSL TV (NBC: Salt Lake City). Results were provided for each of the 3 publicly acknowledged questions, but the ordering was not published. This question was presented to 500 registered voters from Utah who were contacted in some undisclosed fashion. 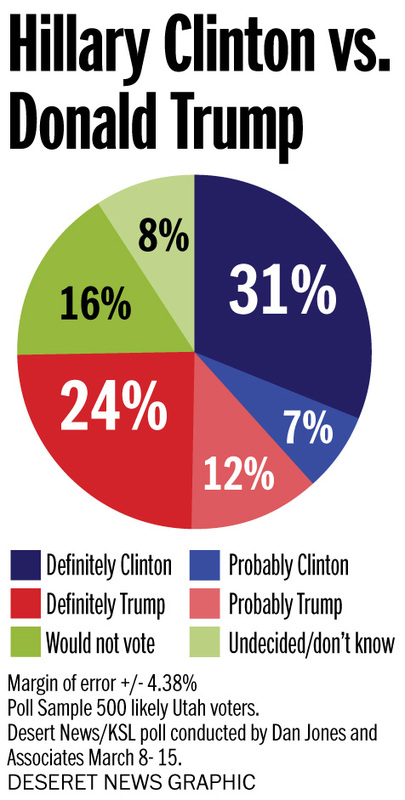 The margin of sampling error is ± 4.4%. The question wording was not made public by Dan Jones & Associates, Deseret News nor KSL TV (NBC: Salt Lake City); instead, a generic question has been editorially submitted.